The deadline for submissions is over now and we already have read all your abstracts. We will discuss them this week and need to make some decisions, because we got more applications than we can host in two days. Although every single one is proof of good work and interesting research, we need to to choose and hope you understand. We will contact the possible participants in the following weeks and answer every single submission in due time, so please be patient. 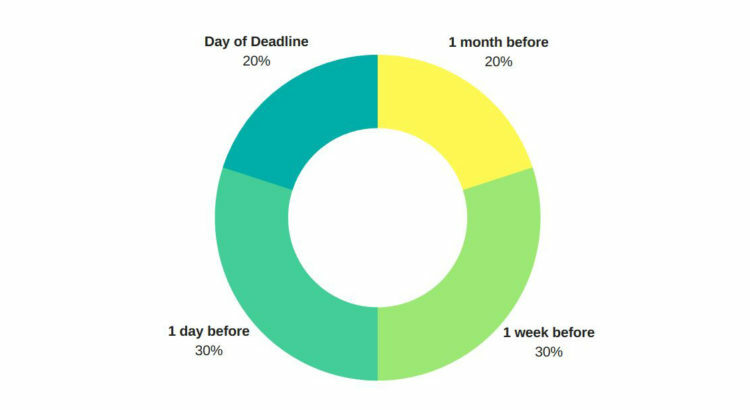 As you can see by the graphic by the way, 50% of the submissions came in the last two days, which is probably very common, as we can see by this statistic offered by the VALUE Foundation.